YouTube Launch & Mac Lipstick Giveaway! We're half way through September so I don't care what anyone says, it's officially Autumn! I'm a massive Autumn fan, to me all year is the lead up to Autumn and I just can't get enough. I want to go through my dressing table and bring out some gorgeous Autumn Picks. I'm thinking darker blush, bronze eyes and of course dark lips! One of the things I've been looking forward to this year is to wear my new darker plummy blush, NARS Sin. Now I bought this months ago specifically for Autumn time. All I wanted last year was a darker blush and I just never got round to finding one. So I've had Sin in my dresser for months and now's the time I can finally enjoy using it. It's a gorgeous plum with a golden shimmer. I love these dark plum blushers on pale skin during the colder months, I can see myself using this a lot. 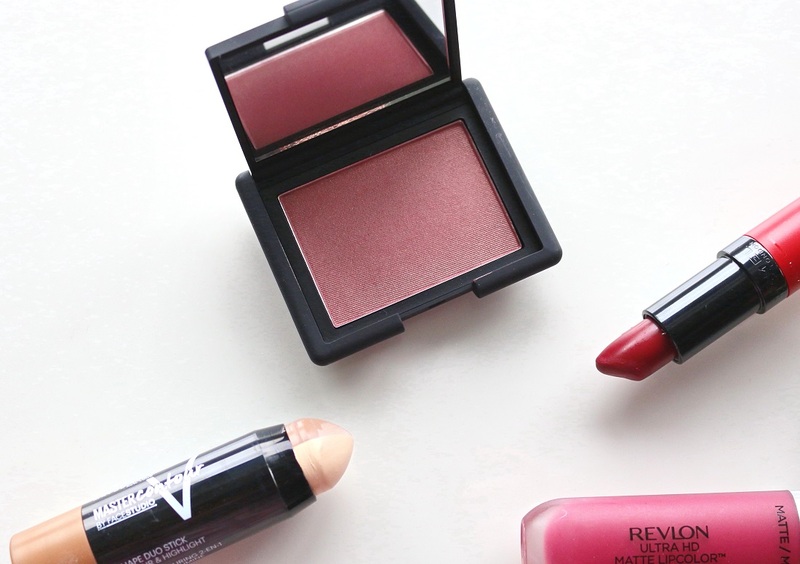 You can't go wrong with a NARS blush. The formula is always so soft and pigmented and they really blend nicely. You get a lot in the pan, I can't have enough NARS blushers! Another newbie this year is Maybelline's Master Contour Sticks. I was lucky enough to get sent this and I've been loving it. It's the first cream contour product I've tried and I've really fell in love with it. I love that your contour shade and highlight are in the same product, it makes it so easy to apply. I like to line where I want my contour (I don't have this mastered yet, but I try! ), I make a line under my cheek bones, the sides of my nose and the edges of my forehead. Then I just blend with my fingers. This is so creamy and easy to blend - you can't go wrong! I was worried I'd be left with stained dark lines on my face but the shade blends in so softly. The contour shade leaves you with gorgeous definition (you can even use it to slim down your face!). Next I use the highlight shade on my cheekbones, down my nose, forehead and my cupids bow. Again I blend with my fingers and this really brightens your face and helps lift your look. This is the perfect product if you're just starting out contouring. It's very easy and quick, the formula is so gorgeously creamy you can't go wrong. Of course you need a bold lip for Autumn and I have just the two for you. A cult classic Rimmel Kate Lasting Finish 107 is THE lipstick for Autumn. If you're after a beautiful berry red that compliments all skin tones and brightens your teeth, then you need to get your hands on this. This is just a super easy lippy to apply and pull off. The formula is very creamy and moisturising, despite its bold matte shade it's a joy to wear. There's nothing worse than a gorgeous shade, but it feeling sooo uncomfortable you end up just taking it off. I wore this so much last year and I'm very excited to be wearing this again. It's the perfect festive berry red for everyone. The next Autumn lip product I want to talk about is Revlon's Ultra HD Matte Lip Color in Addiction. I tried these earlier this year and loved them if you would like a more in depth review. The first thing I loved about these matte lip colors was the lightweight, almost whipped formula. 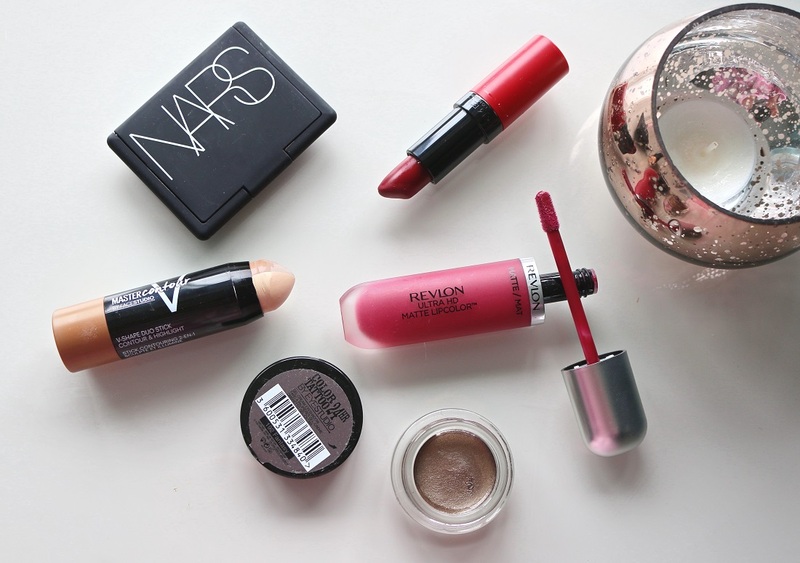 It feels as if you're not even wearing anything on your lips - especially not a matte product! The applicator is lovely and soft making these very easy to apply. After bout 5/10 minutes the product will dry and you're left with a beautiful matte lip. Addiction is going to be beautiful Autumn shade, I can see myself using this a lot. I love the berry wine shade, this will be lovely coming into Halloween. It can be pretty hard to find a creamy dark matte lip that will go the distance, but Revlon have got this sorted for us! These really do last all day without budging. They don't look messy and out of place as time goes on, they kind of act like a lip stain - but more lightweight! A new eye product in my stash this Autumn is Maybelline's Color Tattoo in Fantasy. If you haven't tried the Color Tattoos then you must be living in the stone age. These have been some of the most talked about and loved cream eye shadows of the decade and this season we see some new shades. Fantasy is a golden brown with subtle silver shimmer. If you're a fan of On and On Bronze, this will be right up your street! This is so beautiful for Autumn, I love a gorgeous neutral bronze shimmer this time of year! The one thing I love about these is you only need the one shade. You just dot this on and blend out and you're left with a gorgeous eye look. There's no need for a different crease or highlight shade, this will do it all for you. The creamy formula makes it so easy to blend out and create a beautiful look all in one - quick and easy! I can't wait to use all my Autumn favourites as the weather gets colder. What are you looking forward to wearing this Autumn? Don't forget to enter my MAC lipstick giveaway beauties! It's the perfect Autumnal shade! :) They're so creamy. 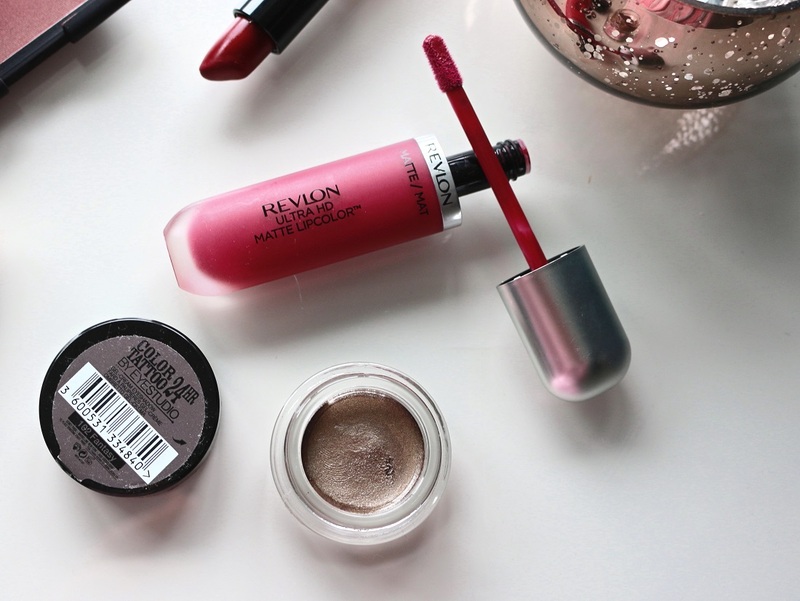 The makeup picks are awesome, that revlon liquid lipstick looks particularly gorgeous. Oooh I love them, they're the perfect matte liquid lipstick! I have that same Kate Moss lipstick and it's one of my favourites for this time of year! The Colour Tattoos are gorgeous too - I use the gold one a lot but this shade looks lovely so I might have to pick it up!